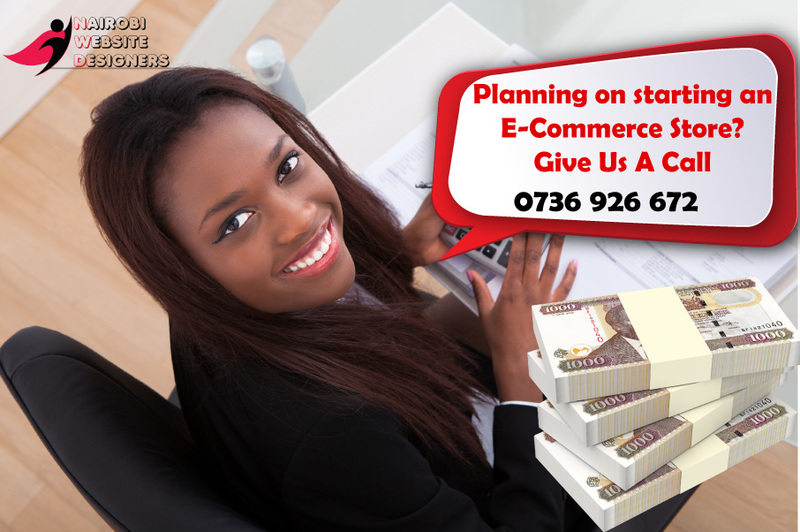 A store in Nairobi’s central business district (CBD) might cost you an arm and a leg, but having an online store is quickly proving to be more effective in doing business with clients both near and far away. The costs involved come along with numerous responsibilities such as hiring competent employees, paying the city council’s shop license fee and of course rent along with utilities like electricity and security. This can weigh heavily on any start up business and its therefore more advice-able to go online first, then eventually, once you’ve found your footing, get a location. With the purchase habits of people varying from person to person, it is always beneficial to your business to be open any day of the week and at all hours. Having an e-commerce website gives your business this type of flexibility and frees up your time as the processes can be completely automated. With technologies like mpesa, airtel money, visa and mastercard payment Apis’, the checkout process is integrated seamlessly to your e-commerce website and you get notifications via email and sms every time there is a purchase. The typical store at the corner depends on traditional forms of attracting customers. This is limited to mainly outside banners and walk-ins. With an online e-commerce website, your reach and level of marketing is amazingly boosted to reach thousands of people online and cater to them concurrently. Social media sites like Facebook, Twitter, Instagram etc. greatly aid in leading customers to your e-commerce website using advertising features that draw them to your website. Competition in numerous market niches is tough and business try to exploit every angle to have the upper hand on their competitors. Having a professional e-commerce website adds value to your business by increasing your presence in the market and in turn drawing more customers towards your business.